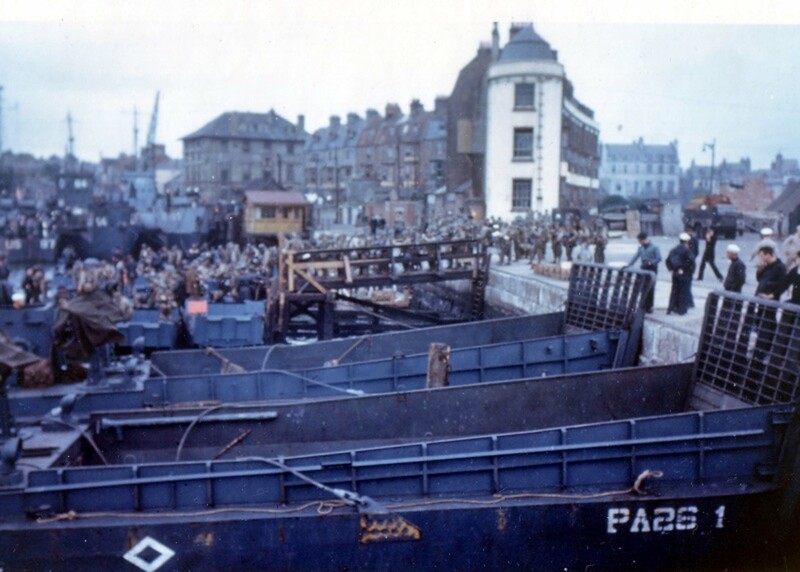 Loading Allied forces into landing ships at Weymouth port during Operation Overlord. South coast of England. The beginning of June 1944. In the foreground, LCM (Landing Craft, Mechanized), then LCA (landing craft, assault) assault ships, LCI(L) infantry landing ships (landing craft, infantry (large)) in the distance.